When you have a food allergy, buying prepared food or eating in a restaurant can be a nerve-wracking – and potentially even deadly – proposition. 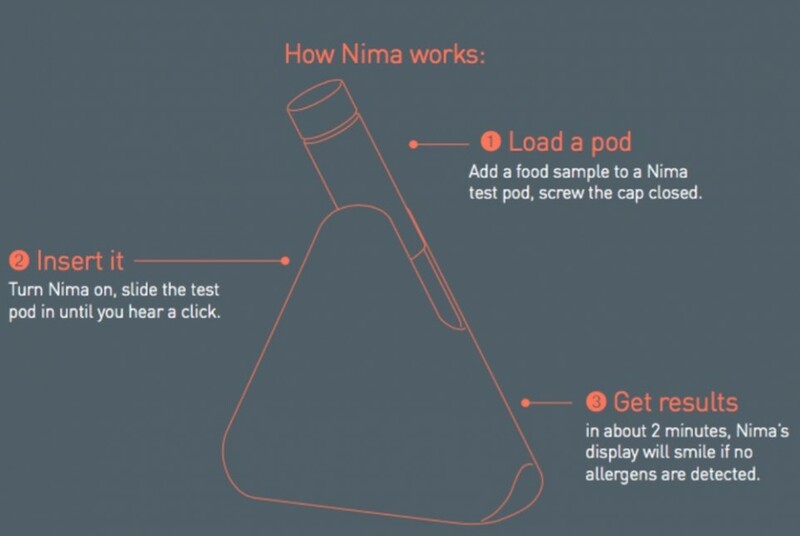 A portable food sensor called Nima can ease your mind by testing your food for allergens before you eat it. 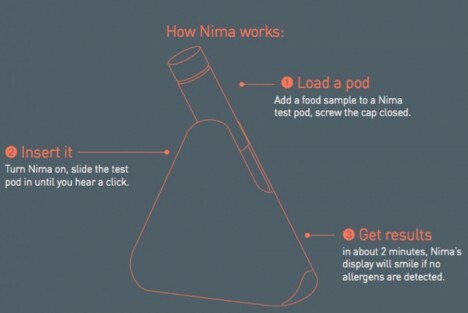 At the moment, Nima can only test for gluten; in the future the company hopes to add functionality for other common allergens like dairy and peanuts. All you have to do is put a small sample of the food into a test pod, close the lid, and snap the pod into the testing station. The pods contain antibodies there were developed by the team of former MIT students who created Nima. The antibodies only react with gluten; if gluten is detected, the sample undergoes a chemical change that the sensor can read. In just two minutes, the testing station can tell you whether the sample contains gluten levels above 20 parts per million. A simple red light or green smiley face let you know whether the food is safe to consume. The kit is small enough that you can carry it without embarrassment into a restaurant. Other food testing kits involve test tubes, chemical mixing, and much less convenient methods to check up on your meal’s safety. 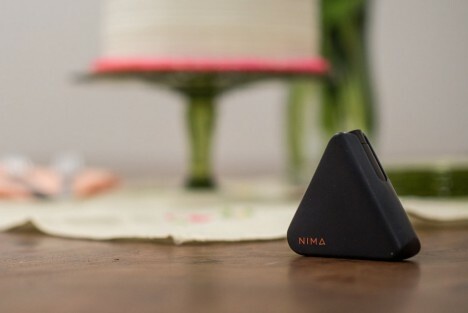 Nima makes it easier to ensure you won’t suffer from an accidental dose of something your body really doesn’t get along with. See more in Home & Personal or under Gadgets. August, 2015.